A well-run business sets goals so that it can focus its resources on its highest priorities, and measure and track its progress. The city is to be congratulated for undertaking this exercise last week with the help of a professional facilitator. The council produced a list of 70 objectives that it wants to allocate resources toward, rather than a focused list of 8 or 10 items that would allow them to be effective in really focusing the city’s efforts. This despite the best efforts of the facilitator, who tried to get them to pare down the list to critical issues. Since the council could not produce a short list of high-priority items, we are taking a stab at it for them. The workplan itself is essential to good governance. City Manager Mark Prestwich has done a good job fostering a spirit of professionalism inside City Hall. The council should encourage that trend by creating a workplan that doesn’t max out the staff, leaves flexibility to respond to emergencies, and gives staff members enough free bandwidth to use their creativity to solve the city’s problems. There’s a fine line between oversight and micromanagement, and staff should have latitude to set these goals without micromanagement by the council. The council should focus on setting direction and provide meaningful oversight on key decisions. There are only 23 regular council meetings in a year, and at maybe two and half hours apiece, that’s not much time to dig into organizational matters that should be left to the professionals anyway. Ideally the council would structure each meeting around five or six overarching goals: What’s the latest progress on housing? Downtown revitalization? Maintenance? Here are what we consider the city’s most important goals, organized by category and based on the 2018 workplan presented to the council. The importance of continuing to implement sound governance practices in our city government cannot be overstated. We urge the council to stress this as a priority underlying all the others and pledge to closely monitor city assets and obligations, set and track measurable goals, ensure compliance and accountability, fully research all proposals and seek outside help when warranted. The city needs to conduct a classification and compensation study for city staff, hire an assistant to the city manager, reorganize the Public Works Department, continue to manage grants, update the employee handbook, and post public records on the city’s website. Eight-unit projects like Turley Flats and Brenkle Court represent valiant efforts by nonprofit developers. But given their enormous investments of money, energy and time, piecemeal projects like that are not the ultimate solution to achieving the state’s housing mandate. The council should appoint that committee, hand them the long list of housing objectives contained in the workplan, and tell them to report back in six months with a prioritized set of recommendations. Delegating that task to a committee, as the council did with the SHAPE Committee, frees up time for the council to work on other things, prevents the short-handed Planning Department from having to run in 10 directions at once, and has a better chance of producing an achievable set of goals than a whole year’s worth of council deliberations. Members of Our Town St. Helena have developed a wealth of expertise in local affordable housing. When building a committee, the city should start with them. 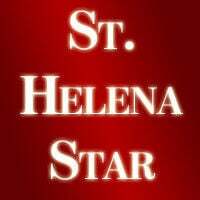 Kosmont Companies compiled a good list of recommendations for the city, but the St. Helena Chamber of Commerce’s role in restoring the downtown retail economy is still nebulous. The city provides a $210,000 annual subsidy to the Chamber, so the council needs to put the Chamber to work. Where does the city’s responsibility end and the Chamber’s begin when it comes to rebranding St. Helena, recruiting commercial tenants for vacant spaces, and raising awareness among landlords about the need to fill those spaces? Once those questions are answered, the Chamber and the city can collaborate more efficiently, and the staff can focus on tasks that are clearly the city’s responsibility, like streamlining the application process and reducing onerous permitting fees. The Public Works staff will have its hands full upgrading the wastewater treatment plant, maintaining government buildings, mapping the city’s underground utilities, upgrading sidewalks and curbs to comply with the Americans with Disabilities Act, and spending and leveraging Measure T funds for road repairs. Once again, the council’s role is more oversight than management. Just give the staff the resources they need, stay out of the way, and keep an eye on the books. The staff and council need to finish projects that are already in the works, like adopting the General Plan and completing the first phase of the removal of the Upper York Creek Dam. That process is crucial to the city’s future, and finishing it will send the message that hard-working citizens aren’t wasting their time when they volunteer for a committee. It will also prove that our city can achieve ambitious goals, as long as we set the right ones.